I love my coffee and have tried many kinds. 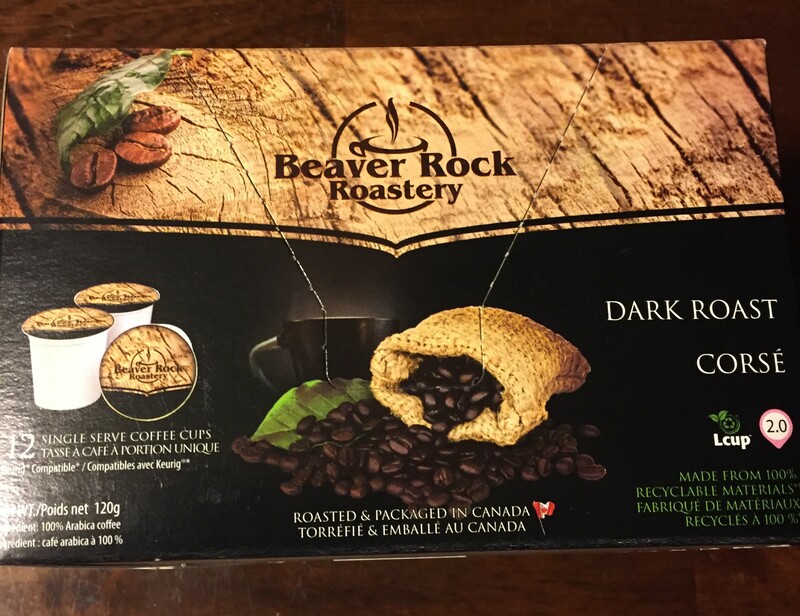 I have found a delicious dark roast made by Canadian company Beaver Rock Roastery that is totally perfect! Beaver Rock Roastery has introduced the first fully recyclable single serve coffee cup! These cups are Keurig compatible. This coffee has a dark smooth flavour, not bitter and no undesirable aftertaste. I can’t wait to push the brew button every morning. I drink coffee throughout the day also, it is my preferred drink. I have a Hamilton Beach FlexBrew coffee maker and this is the ideal coffeemaker for our house. My husband likes a milder coffee and uses the glass carafe, and I love a dark roast and use the single serve side for my very own fresh cup of coffee each and every time. 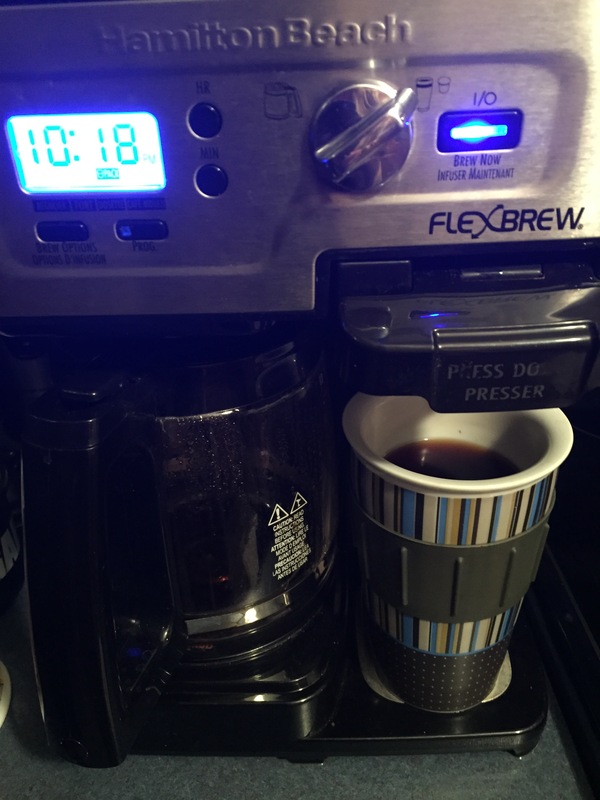 I love this FlexBrew machine as when we have guests we can make a full pot and be ready to serve everyone . 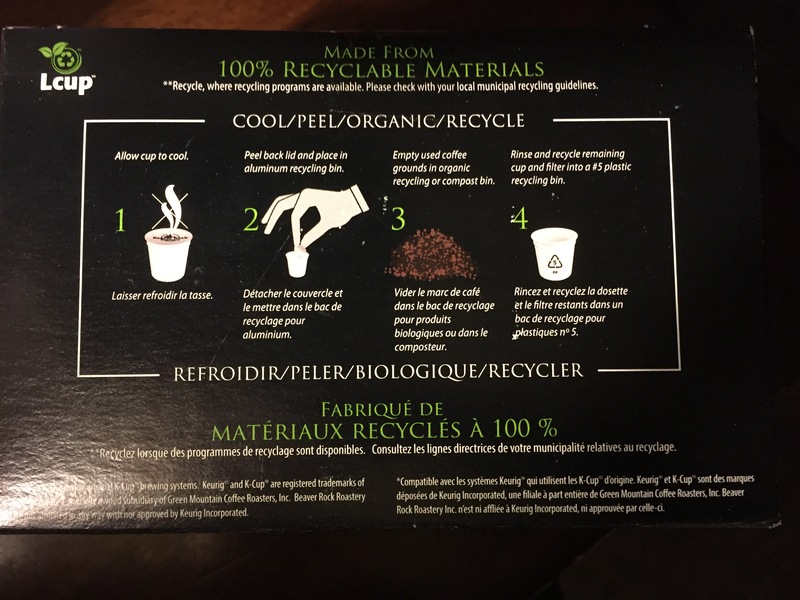 Now my household really tries hard to do our part for the environment and Beaver Rock Roastery has this amazing coffee in Keurig compatible cups that are made from 100% recyclable materials. Absolutely everything in the package, including the box is recyclable! Check out the directions on this box! So easy to recycle all parts after use, just wait for the cup to cool. The top goes in the bin for aluminum recycling bin. 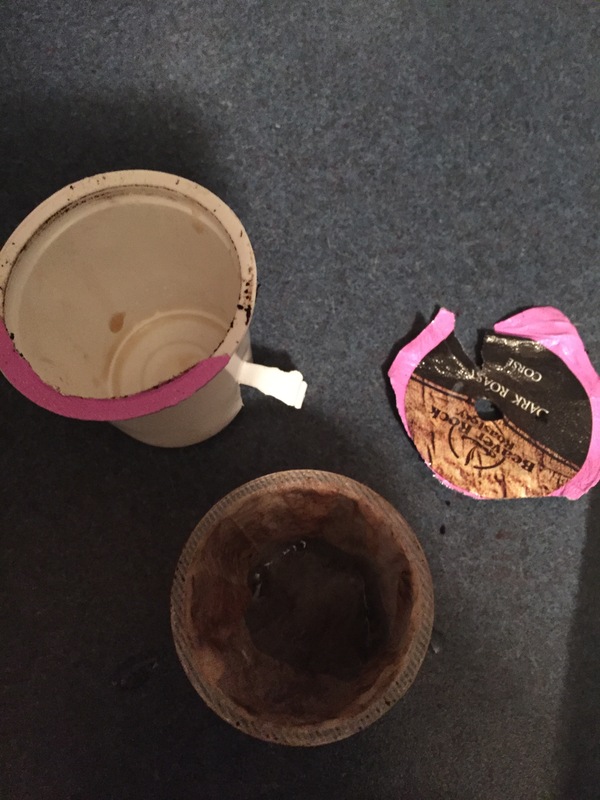 The coffee grounds go into a separate container that I will empty into my garden. The cup and filter go into the bin for recycling plastic (#5). When the box is empty it will be recycled with cardboard. Not only is it delicious coffee but so very environmentally friendly. I am guessing your thoughts are, well this coffee is probably very expensive. Well at this point in time it is very reasonably priced. As a matter of fact it is a couple dollars cheaper than the coffee I was previously purchasing. Our local Wetaskiwin Co-op Food Store keeps this delicious coffee on their shelves. I would check your local Co-op grocery stores for availability. Disclosure- I was not compensated for this post, I just really love Beaver Rock Roastery Dark Roast and my Hamilton Beach FlexBrew and shopping at our local Co-op Food store. This sounds like a great coffee. I have to check out their website to see if they sell it here in Ontario….I don’t recall ever seeing their coffee before reading your post. Love that they are environmentally friendly!! I love how it is all recycled! 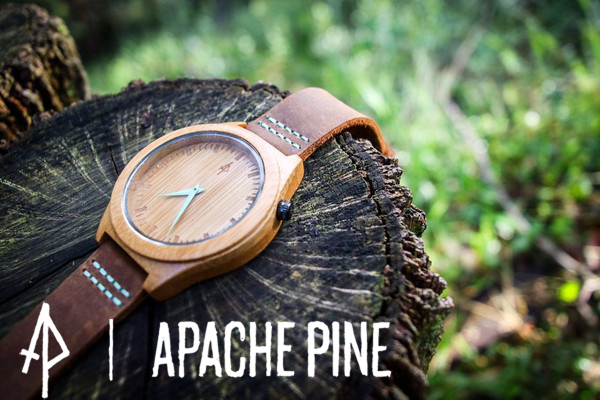 It is wonderful when a company makes there product environmentally friendly! And it is really delicious coffee!